Before we go any further, if you need a refresher on the basics of Bitcoin, please read this first. The CME isn’t even the first exchange to announce plans to launch a Bitcoin derivatives product. Neither is the CBOE, who announced the launch of their own Bitcoin Futures back in August and awaiting approval from the CFTC. LedgerX a Swap Execution Facility and Derivatives Clearing Organization is already offering swaps and options contracts on Bitcoin. What’s interesting about this product is like Corn, these products can be physically delivered. That means investors could actually have the ability to own Bitcoin. For those that don’t have the computing power and resources to mine Bitcoin, this might be a great opportunity to own Bitcoin for themselves. That’s not the case when it comes to the CME and CBOE contracts. Both will be cash settled. Per the CME’s press release, the CME Bitcoin Futures contract will be based on the CME CF Bitcoin Reference Rate (BRR). Since November 2016, CME Group and Crypto Facilities Ltd. have calculated and published the BRR, which aggregates the trade flow of major bitcoin spot exchanges during a calculation window into the U.S. Dollar price of one bitcoin as of 4:00 p.m. London time. The BRR is designed around the IOSCO Principles for Financial Benchmarks. Bitstamp, GDAX, itBit and Kraken are the constituent exchanges that currently contribute the pricing data for calculating the BRR. Moreover, the CME will publish the Bitcoin Real Time Index which will be the spot price on the bitcoin market. Meanwhile, the CBOE is partnering with Gemini Trust (founded by Winklevoss twins) to provide the market data to create the bitcoin products and indices. 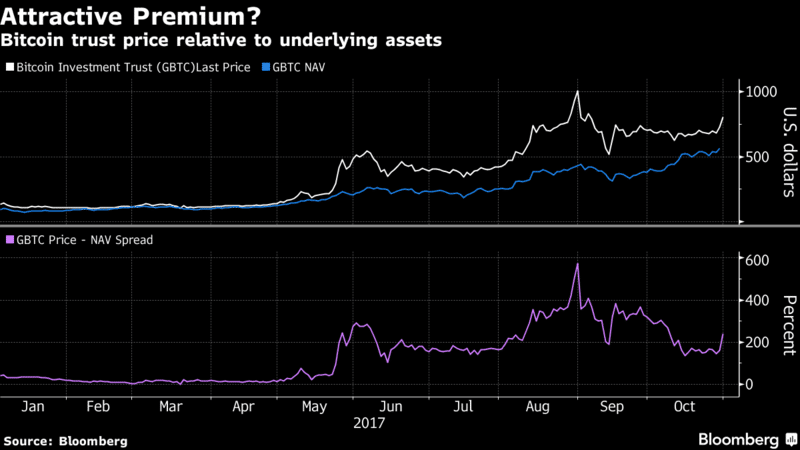 Bitcoin Investment Trust, currently one of the only avenues for investors seeking bitcoin-backed securities, is trading at a premium of more than 30 percent above net asset value. The trust, known as GBTC, is a “physical” fund, meaning it holds bitcoin itself. This dynamic screams red flag to anyone evaluating investment metrics, but whether or not Bitcoin does anything logical seems secondary at this point. 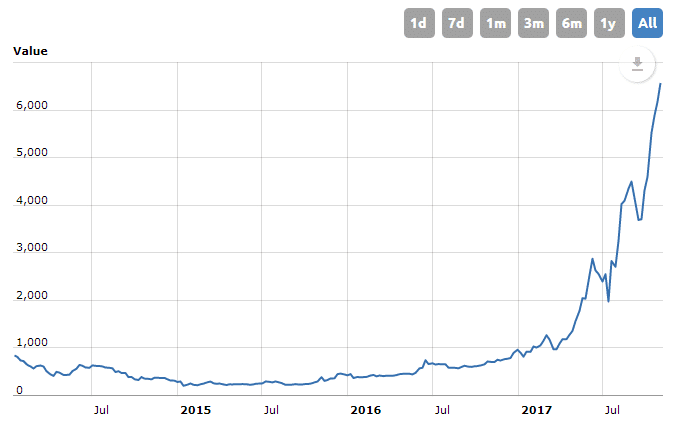 On the mutual fund/ETF/ETP side of Bitcoin, there have been many failed attempts to get a Bitcoin “product” going. But the futures markets could change all that. The SEC even went on record back in September saying they would hold off reviewing Bitcoin products until a futures contract started trading! Looks to us like they don’t want the regulatory headache, so are kicking the can down the road to the futures exchanges. Then, once its Bitcoin exposure in an SEC reviewed product that gets that exposure via a CFTC reviewed futures contract, the SEC can say… we’ve already approved products doing futures contracts (we’ve already let the genie out of that bottle), this is legit. Let the CFTC worry about the regulatory issues with Bitcoin. So don’t be surprised to see the Bitcoin Futures open the flood gates for Bitcoin ETFs, similar to the way there are dozens of VIX related ETFs doing all they do via VIX futures (Learn about those VIX products here). Now, just who wins between the CBOE and CME in the race to be the exchange of choice to house all those possible billions in exchange traded Bitcoin tracking product, remains to be seen; as is who (institutional investors? Retail traders? HFT firms? Hedgers?) 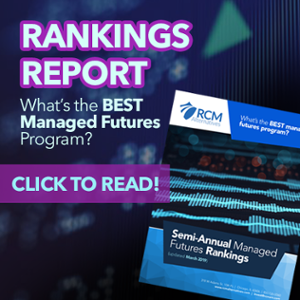 jumps into the nascent futures market to provide a futures contracts lifeblood – volume and liquidity. One thing is for certain – all eyes are going to be on the futures markets when it comes to Bitcoin, and that’s just what we like to see. New to futures markets? Call us at 855-726-0060 to talk to one of our professionals about setting up an account. And/or check out this idea we have for gaining exposure to some of Bitcoin’s upside, while trying to eliminate most of its downside.